Do you know Vicente Manansala? I feel guilty that I was not even familiar with the name of one of our National Artists. 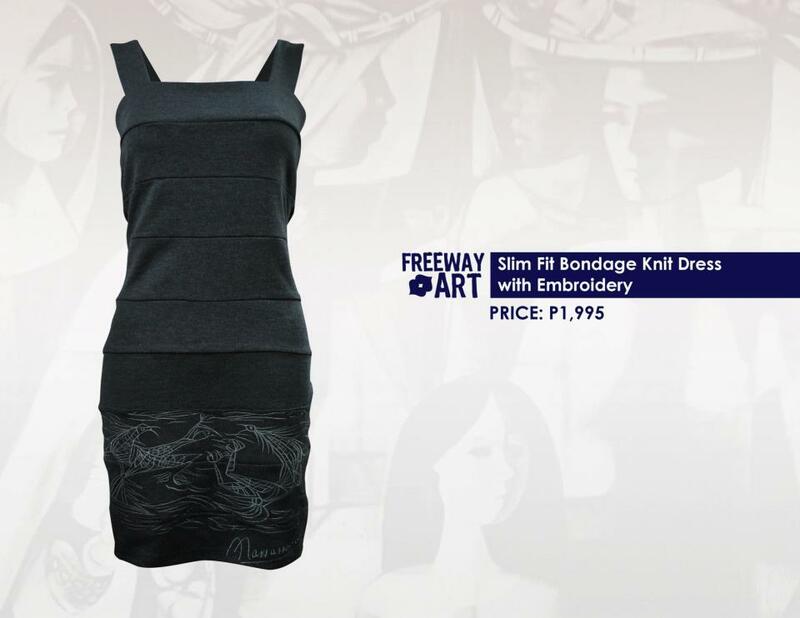 I am glad that Freeway once again featured a great artist (should I say National Artist) on its latest collection to not just promote fashion but also re-introduce great names who had made an impact and influence on their fields. Freeway launches the National Artist Collection featuring the works of Vicente Manansala last Tuesday at the Ramp in Glorietta 5. 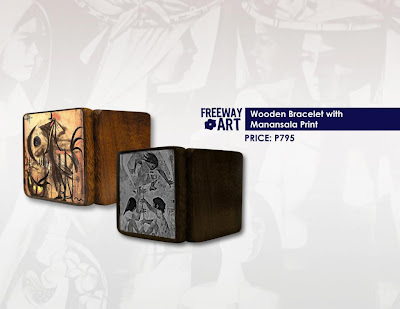 It is the 6th installment since its first collection launched last 2009. Remember, I was also in the event when Freeway paid tribute to National Artist for Literature (F. Sionil Jose)? I cannot miss this type of events because it is my only chance to reconnect with art. When I arrived, I took the chance to check the new collection. 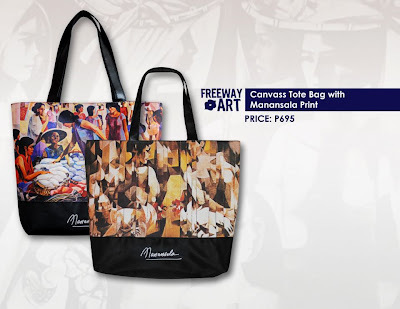 The vibrant colors of Manansala artworks were translated in different cuts and styles from dresses, tops and even accessories using sublimation knits, woven pieces through prints and embroideries. I loooove this necklace!! I used to make graphic necklaces because I cannot seem to find one in the market! This one I want to have! 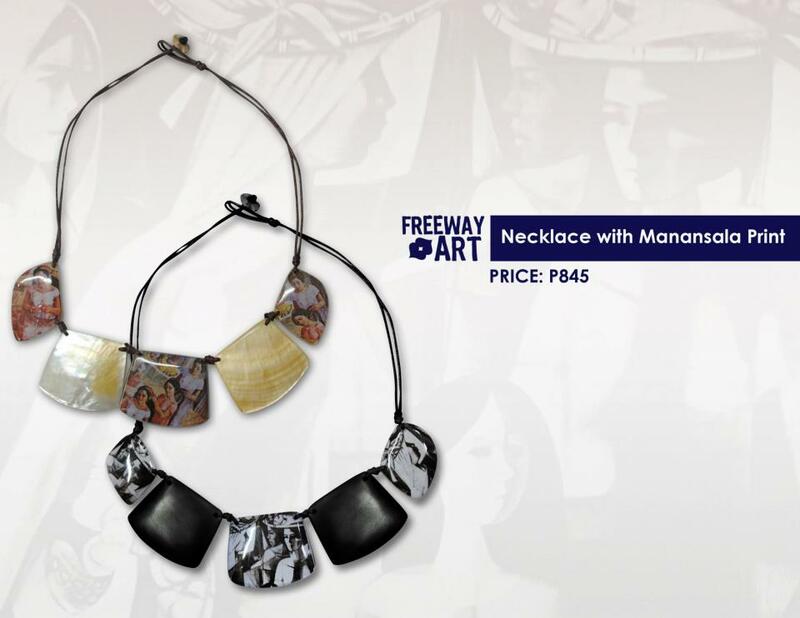 I got too busy appreciating the works of Manansala and Freeway, admiring the fashion styles of guests and saying hello to other bloggers, that I missed the chance to see the art session happening at the ground floor. The event was hosted by Tim Yap who was wearing a customized coat with a nice print of Manansala work on the side, and Divine Lee who was wearing a Manansala shirt and black fringe miniskirt. It is time to get to know the star of the event - Vicente Manansala - through a video presentation. Amazing how this man did alot of great artwork that depicted the Filipino community lives. His imagination and talent in painting earned him various awards and scholarships. He used different media in his masterpieces that people now can make through the use of technology and applications like Photoshop and Paint. This guy is amazing! Time to see the collection through a Fashion Show - which also showcased Carmina Villaroel's Shoe Collection - Muniz Shoes. I am not sure if the fan is for sale too and that notebook-type clutch bag, I looove everything! The event was also graced by Maritess Mendoza-Pineda, President of Friends of Manansala Foundation, Cedie Lopez-Vargas of The Lopez Museum and Ronna Manansala, granddaughter of Vicente Manansala who talked about interesting stories and experiences about the great artist, Vincente Manansala. When I arrived in the office, I saw one of our big bosses and she complimented my outfit that night. I told her I came from the Freeway NACS launching featuring Vicente Manansala. She was so excited to see the collection (yes, I work with such supportive team and fashionable bosses!). My mom didn't agree much on the ensemble - but I want to wear something different because I always go out in minidresses. That's a minidress worn as top, tube dress worn as skirt - what do you think? Thank you again Freeway for the invite and for the memorabilia! So what is your favorite from the collection? I think I looove everything! I love the bodycon dress, accessories and the Manansala Bag! (*wink *wink to my friends in Freeway)!